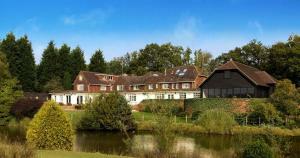 The Owl House is a holiday home set in Bishops Waltham, 19 km from Southampton. 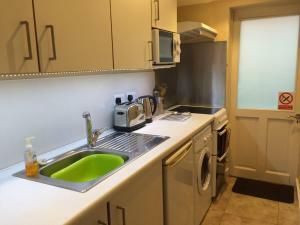 The property is 20 km from Portsmouth and free private parking is prov.. 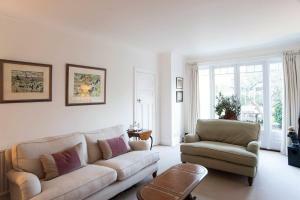 Featuring a garden, House Wolseley Gardens - Chiswick is a holiday home set in Kew. The holiday home is 1.9 km from Kew Gardens. Free WiFi is offered ..
House Clydesdale Gardens - Richmond is a holiday home set in Kew in the Greater London Region and is 1.8 km from Kew Gardens. Free WiFi is provided th.. 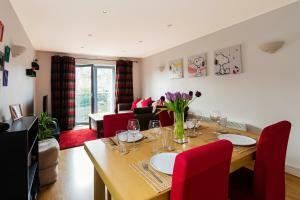 Located in London, this apartment is 4.3 km from Riverside Studios. 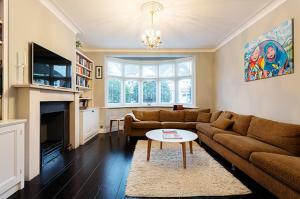 The apartment is 4.3 km from Hammersmith Apollo. Free WiFi is offered throughout t..
Set in Kilmeston, 23 km from Southampton, Riversdown boasts a seasonal outdoor pool and sauna. Free private parking is available on site. 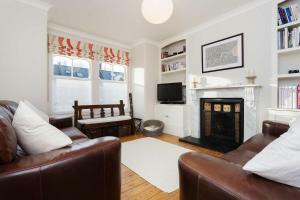 For your co..
House Pensford Avenue - Richmond is a holiday home located in Kew in the Mortlake district, 1.1 km from Kew Gardens. 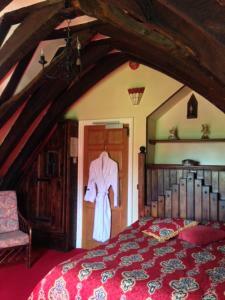 Free WiFi is featured throughout ..
Set in Streatley in the Oxfordshire Region, this holiday home is 30 km from Oxford. It provides free private parking. A dishwasher and an oven can be..
Set 4.1 km from Riverside Studios and 4.1 km from Hammersmith Apollo, Family Den offers pet-friendly accommodation in London. The unit is 5 km from Po.. Situated in Basingstoke town centre, Smart Stays Central Point offers boutique-style apartments with free WiFi. An 8-minute walk from Basingstoke Rail.. 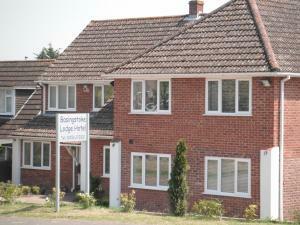 Featuring free WiFi, Brookfield Barn offers accommodation in Horsham, 26 km from Brighton & Hove. Guests can enjoy the on-site bar. Free private parki.. Located in Micheldever Station in the Hampshire Region, this detached holiday home features a garden with a barbecue and a terrace. Guests benefit fro..
A 2-minute drive from Basingstoke town centre, this new guest accommodation offers well-equipped rooms, cooked breakfasts, free Wi-Fi and free parking.. 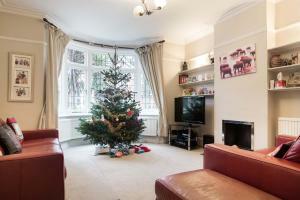 Featuring free WiFi throughout the property, London Tourist Apartments 2 is located in Northolt, 17 km from London. Windsor is 19 km from the property.. 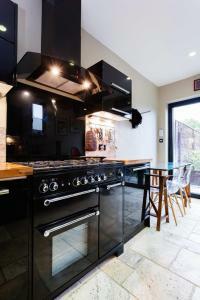 Lawn & Lumber is a holiday home situated in London, 3.4 km from Portobello Road Market. The holiday home is 3.5 km from Wembley Stadium. 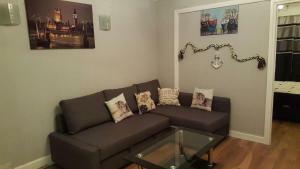 The unit equ..
Set in London, this holiday home is 1.9 km from Riverside Studios. 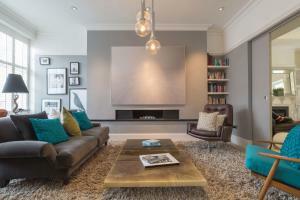 The unit is 2 km from Hammersmith Apollo. Free WiFi is available throughout the pro.. 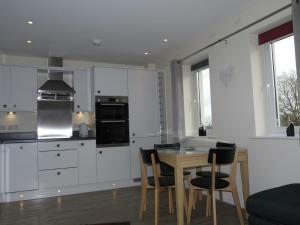 Apartment 69 offers accommodation in New Malden. London is 14 km away. Free private parking is available on site. All units include a seating and din..
Little Lock Cottage is a holiday home situated in Partridge Green and featuring free WiFi and a patio. It provides free private parking. There is a d..
Three Bedroom Apartment in Chiswick offers pet-friendly accommodation in North Acton, 8 km from London and 26 km from Windsor. The unit is 16 km from ..
Suffolk House Annexe is a holiday home situated in Harrow on the Hill in the Brent district, 16 km from London. 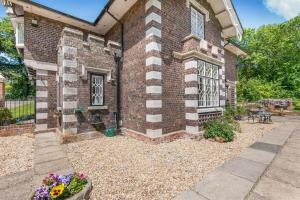 The property is 22 km from Windsor and..